The only hometown show of the year. An intimate candlelit seated gig in the beautiful old music hall at The Nonsuch Theatre. Lorna will be playing an extended set featuring songs from all 6 of their studio albums and previews of next years ‘Constellations’ album. The show is family friendly, bring your own drinks/bring your own fairy lights. Support comes from Jake Burns with a DJ set by Andy Haynes. Nottingham based dreampop band Lorna are set to release Through The Tall Grass on 29 June 2018 through US label Words On Music. The single is the first to be taken from forthcoming sixth LP Constellations, due for release in September on CD and digital (via Words On Music) and on limited coloured vinyl through UK independent label Reckless Yes. 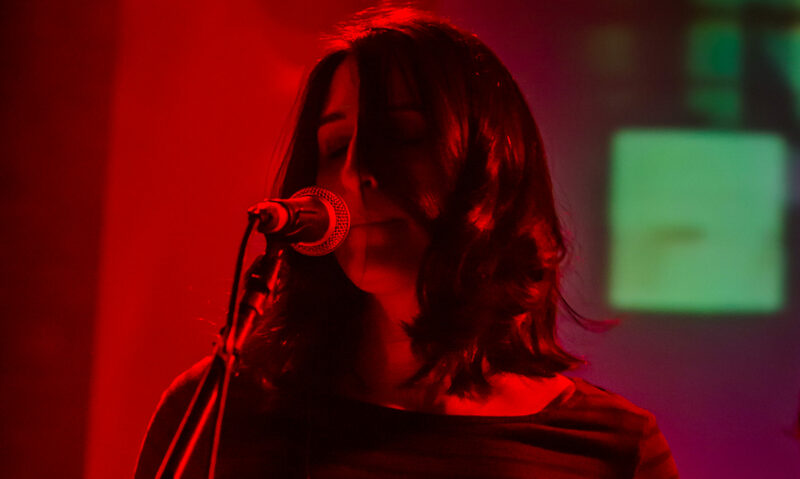 Mixing analogue, electronic instrumentation with subtle orchestration Lorna evoke the classic indiepop of Belle and Sebastian or the fractured beauty of Camera Obscura, six- piece Lorna make a return with the shimmering summery dreampop in lead single Through The Tall Grass. Released ahead of their sixth long player Constellations the band achieved longevity through their brilliant grasp of melody. Lorna play The Playhouse, Chesterfield on 30 June 2018. A Christmas Carol is a re-imagined musical narrative of Charles Dicken’s classic winter tale, based upon the abridged text that Dicken’s himself used to read from. Conceived when Nottingham based band Lorna discovered a mutual love of Dicken’s with Steve Oliver, a Nottingham based writer, critic and broadcaster, Steve’s narration, recorded on the hottest day of the year in July 2017 was taken back to Lorna’s own ‘Stars of winnetka’ studio’s where the band produced around 80 minutes of original music between July and December 2017 – a brand new cinematic/dreampop soundtrack to Dicken’s much loved tale. Talking about the idea behind the album Mark Rolfe (producer) commented, “Steve and I first spoke around this time last year, initially about the different edit’s of The Muppet’s Christmas Carol. We then met up on a rainy night in February and sketched out a plan. Steve Oliver is currently giving Dicken’s readings around the country. Lorna are putting the finishing touches to the their 6th studio album on Words on Music due out next year. Limited to just 100 signed, wrapped and numbered copies. Our christmas album is now shipping! Here’s something brand new. ‘Snowfall’ which comes as a free download is composed by Matt Harrison (flautist/guitarist). Recalling Matt’s days of living and studying in Moscow in the early 90’s the pays tribute to classic winter songs such as ‘Fairytale of New York’. Snowfall is rich in strings, brass, wind, echoey guitars, brushed drums and stacked harmonies. It is taken from our forthcoming 15 track Christmas album ‘The Stars of Winnetka’ which is released on December 9th. There’s another new track coming your way on Thursday, and it’s a cover of a Coastal song! Something brand new from us, of sorts. Somewhere your life the winter is dying: Recordings from 1999-2003. 16 track album available digitally now from www.lornatheband.bandcamp.com which is our brand new line store featuring signed cd’s, limited edition t-shirts and the remaining 10 copies of our 2001 7″ single ‘November Kicks Again’. This 16 song digital only album is a collection of Lorna’s work from their inception in around 1999 to the release of their debut album in the autumn of 2003. It also features many of the tracks that Lorna had success with on the much missed mp3.com. Somewhere in your life the winter is dying (the intended title for their debut album, This Time, Each Year) includes studio recordings, home recordings of early songs as well as alternate and demo version of songs that made it onto ‘This time, each year’ and ‘Static Patterns and Souvenirs’. During this time Lorna were briefly signed to EMI Music Publishing by Jeff Barrett (Heavenly Recordings) and spent time in the studio working other Nottingham musicians such as Chris Olley (Six.by Seven) and Richard Warren (Echoboy). Alongside existing Lorna members of Mark Rolfe, Sharon Cohen-Rolfe, Andy Bullock and Matt Harrison these tracks feature contributions from early members who have gone on to have success in bands of their own. We are delighted to have been asked to headline the Oxjam Festival at The Maze in Nottingham on Saturday October 23rd. There are some terrific bands on the bill worth checking out too!